Big news in the local radio world: Lost Coast Communications is buying KXGO from Redwood Broadcasting. This brings the Ferndale-based radio group up to four stations, the others being the KHUM flagship, the "new rock" station KSLG and KWPT, The Point. LCC CEO Patrick Cleary confirmed the purchase. "It's a great station. It's a real opportunity for us," he said, noting that, "It's the second most powerful signal in the county." He said he does not plan on changing the nature of the classic rock station. "It does really well in the ratings and has a good audience." And he's hoping to keep KXGO's DJs, including morning man Cosmic Charlie. 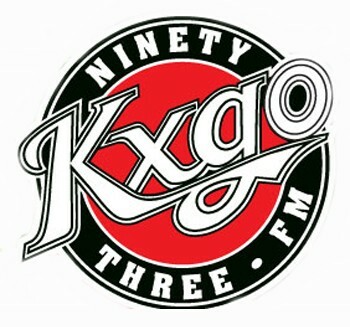 The major change will be moving KXGO to Ferndale. "We're trying to figure out whose office to take over," he said with a laugh. Cleary would not say what he paid -- seller Pat Christensen of Redwood Broadcasting asked him not to -- but that information will be public as soon as the FCC posting goes online. It also comes about a week into Cleary's campaign for 5th District Supervisor. The fact that he now owns four radio stations might seem a major advantage in the coming race, but Cleary says it isn't really, since media use is "heavily regulated" by the FCC, which means he'll have to buy ads on his own station. Cleary has occasionally filled in on the air -- that will not be allowed, nor will he be allowed to do voice work on commercials on any of LCC's stations. Cleary said the station looked into the electioneering rules when KHUM's afternoon DJ, Larry Trask was considering running for mayor in Ferndale. Trask decided against it when they learned that they'd have to give equal time to all candidates. [Correction] Trask tells me that he did in fact run for mayor as a write-in candidate. "But I didn't talk about it on the air and I didn't go out and campaign," thus the equal time rules did not apply. The mayoral election had only write in candidates. Trask came in second out of three.